Here’s Paul, centuries after David, expressing the same truths. Those who follow God must expect to endure afflictions and persecutions, but they can also expect deliverance. That a godly life involves suffering was something the Biblical writers took for granted. They suffered, I’ve suffered, you’ve suffered, even the Messiah had to suffer. Jesus Christ suffered so He could take the consequences of our sins on Himself. By dying in our place, He made it possible for us to be reconciled to God and receive eternal life as part of His family. But that’s not the only reason He did this. 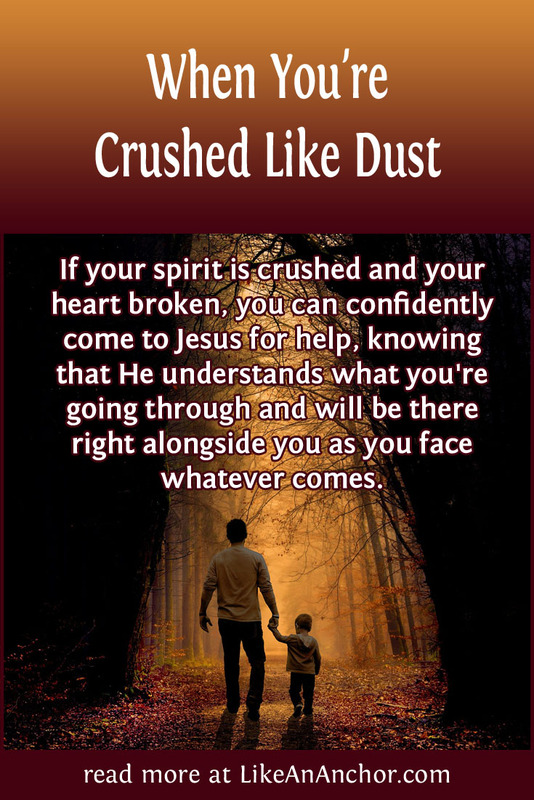 Christ’s sufferings gave Him a first-hand experience with what it’s like to be a human being crushed in spirit and broken hearted. God has always been compassionate and merciful, but since the cross He is even more so. 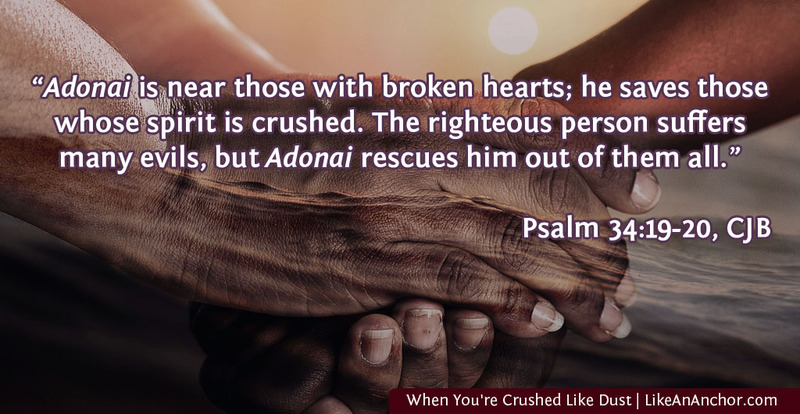 If David could say, “Yahweh is near to those who have a broken heart, and saves those who have a crushed spirit,” then so can we. We can confidently come to Jesus for help, knowing that He understands what we’re going through. Even if He doesn’t take the problems we’re facing away, He will fill us with His perfect power and help us face whatever comes (2 Cor. 12:7-10).